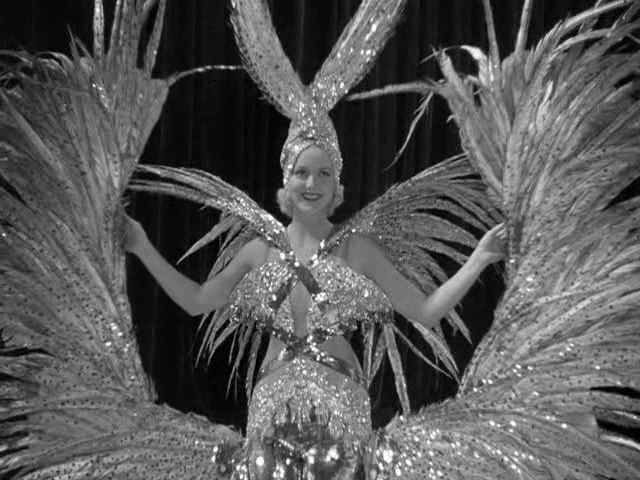 Carnival showman Flo Ziegfeld (William Powell) rises to fame and fortune when he decides to showcase some of the world’s most glamorous young women in a “Follies” show. But his roving eye causes tension in his first marriage with singer Anna Held (Luise Rainer), and his second marriage with Billie Burke (Myrna Loy) is colored by financial strain. Indeed, we ultimately learn frustratingly little about this larger-than-life historical figure, a man who had only been dead for a few years at the time of the film’s release, and whose widow (Billy Burke) was notoriously invested in ensuring that her beloved husband’s name not be sullied in any way. There actually seems to be an overarching fear of placing any of the characters here (most still alive) in too bad a light — with the exception of Virginia Bruce’s “Audrey Dane” (a stand-in for Ziegfeld’s real-life lover, Lillian Lorraine), who bears the brunt of the narrative’s bitchiness factor. Luise Rainer’s Oscar-winning performance as Ziegfeld’s first wife, Anna Held (a.k.a. 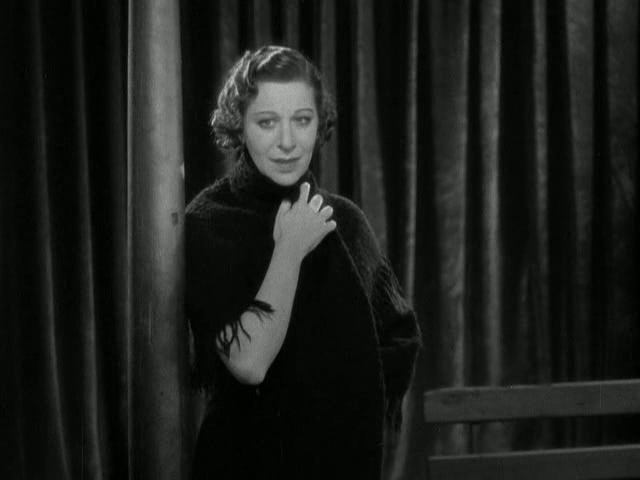 ‘The Viennese Teardrop’), is a primary reason film fanatics may be curious to see this movie — especially given that Rainer won an unprecedented second Oscar in a row the following year (for The Good Earth), then virtually disappeared from movies altogether; she’s a bit of an enigma. With that said, while she “had beauty, charm, and talent” (as stated by Peary in Alternate Oscars), audiences today will likely concede that “her characterization of Held as a sweet, emotional, indecisive, and insecure outsider wavers from being adorable to being irritating”. 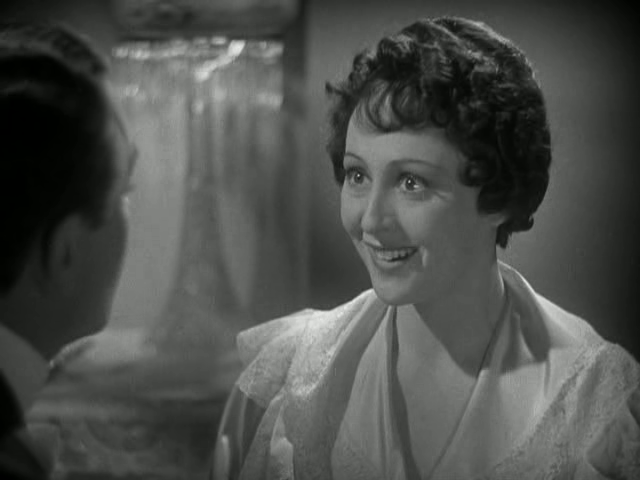 Peary further argues that her “celebrated phone call scene in which [she] pretends to be happy when she congratulates Ziegfeld on his [second] marriage… is a shameless scene that would have gotten an audience reaction no matter which actress played it”. This is all true — and yet I’ll admit to finding myself somewhat transfixed whenever Rainer was on-screen; she did possess a strangely magnetic (if, indeed, mildly irksome) personality, and it’s a shame her cinematic career was so erratic after this. No, though most film fanatics will likely be curious to check it out once just for its dubious relevance as an Oscar winner. Listed as a film with Historical Importance in the back of Peary’s book. Skip it. More or less a huge snore of a bore. ~three whole hours’ worth. When even the dependably professional William Powell seems bored, you know things are bad. But at least he’s *still* attempting reasonable conviction. Which is more than can be said for Rainer, poor thing, playing a one-note level of over-indulgence. 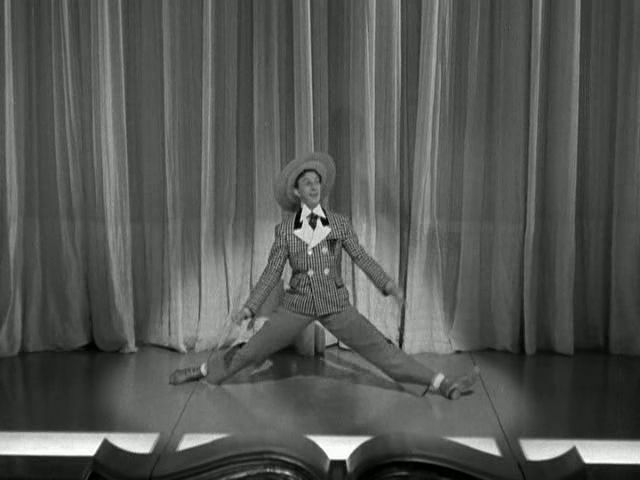 A potential highlight of the film, indeed, is Brice’s rendition of ‘My Man’. In the film’s most bizarre move, we see her clearly gearing up for what promises to be a moving sequence. And, in not quite 30 seconds, focus is off of her – and gone! This is one of the worst biopics of anyone in showbiz – ever.